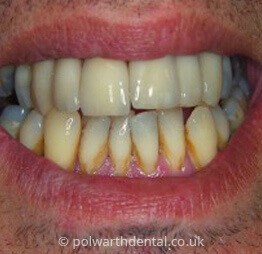 Dental crowns can be used to restore teeth that are heavily filled, discoloured, broken or crooked. Crowns can also be used to improve the appearance of your smile, as they can be aesthetically pleasing and can look very natural. Advances in technology means that black lines around gum margins are much less lightly to occur. Crowns also offer great protection for the tooth and once restored can last for many years. All crown work at Polwarth Dental Clinic is custom designed using CAD CAM technology before being milled by a laser to give a superior fit. One of the drawbacks of traditional porcelain crowns is their lack of strength – they look good, but they are fragile. 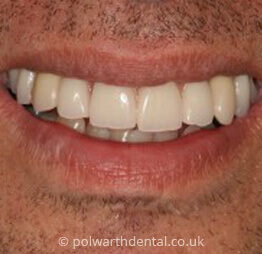 At Polwarth Dental Clinic, we use Zirconia, a metal-free, ultra-strong ceramic material. You could actually stand on a Zirconia crown and it wouldn’t break. Not only are they strong, but Zirconia crowns are also beautiful. Zirconia is translucent - very similar to a natural tooth, reflecting light in much the same way. Using Zirconia, we are able to eliminate any concerns you may have about an allergic reaction whilst at the same time giving you noticeably better aesthetics than traditional porcelain crowns. Once you and your dentist agree that a crown is the right treatment, any decay is removed and then an impression is taken of the tooth that needs restoring. Your tooth will then be prepared and shaped, and a temporary crown will be fitted as the final stage of the first appointment. The impression will be sent to our lab where your new restoration will be crafted. On your second appointment the permanent crown can be fixed. The dentist will ensure the fitting and alignments are perfect before fixing the crown permanently. In some cases if a tooth is heavily decayed or non-restorable your dentist may recommend a bridge or dental implants.